How do I buy a Marco's Pizza Franchise? 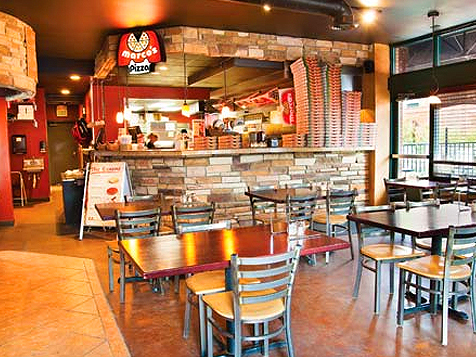 Marco's is unique among the big five pizza franchises as it is the only chain started by a real Italian. We take great care to use only the freshest ingredients on our pizzas and we work hard to deliver out pizzas to your home in about half an hour. Founded in Toledo, Ohio, in 1978 by Italian transplant Pasquale "Pat" Giammarco, Marco's has been a cult-favorite in the Midwest. 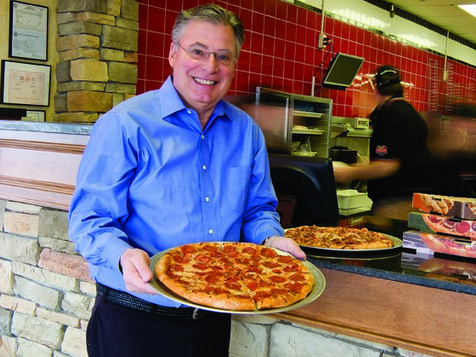 When current CEO Jack Butorac took over in 2004, he set his sights on becoming the largest authentic pizza franchise in the world. Open Marco's Pizza in any of these available states: AK, AL, AR, AZ, CA, CO, CT, DC, DE, FL, GA, IA, ID, IL, IN, KS, KY, LA, MA, MD, ME, MI, MN, MO, MS, MT, NC, ND, NE, NH, NJ, NM, NV, NY, OH, OK, OR, PA, RI, SC, SD, TN, TX, UT, VA, VT, WA, WI, WV, WY. 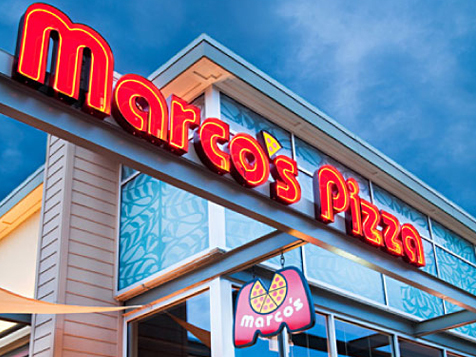 With more than 600 stores open by early 2015 and over 1,000 in development, Marco's is not only the fastest growing pizza brand, it's the pizza franchise to watch. Marco's is capturing the hearts of pizza lovers everywhere with its unwavering dedication to quality ingredients. Customers don't cut corners on quality in their kitchens, and we don't cut corners in ours. If it isn't something you'd serve to your own mother, it isn't something we want to serve to our customers. What makes Marco's stand out from the crowd is our dedication to baking an Ah!thentic Italian-style pizza. We make our dough from scratch daily using our specially formulated flour. We make our sauce from scratch in-store using an organically crossbred tomato grown just for us because it has all the essential qualities of the best Italian tomatoes. Look behind the counter at a Marco's and you'll see our team members hand-chopping fresh veggies. We use several types of pepperoni and our sweet Italian sausage looks more like a meatball than the skimpy meat you see on our competitors' pizza. Ah!thentic means fresh, just like you would see if you traveled to Italy. People buy pizza because it is inexpensive and convenient. That doesn't mean it has to taste like cardboard. You really can taste the difference. Why do customers love Marco's? Marco's prides itself on product, service and image. Our teams make every pizza by hand every day. It's not a bargain pick-up pizza, but it's definitely an affordable family meal. Customers love the handmade crust, the flavorful sauce, the quality meats, cheeses and toppings that go on every pizza. They also love our delicious subs, salads, CheezyBread and Cinna Sqaures. Entrepreneur Magazine included us in its Franchise 500 and Fastest Growing categories in 2015 for the fifth year in a row. Franchise Business Review named us a 2014 Franchisee Satisfaction Awards winner. Franchise Times named us No. 8 on its Fast & Serious list, which evaluates franchise companies that show strong staying power and sustainable growth over a period of three years. Marco's Pizza is not currently active in our directory, but here are some other recommended selections for you to explore.